Sorig Zathi Dukpa, Sorig Zathi Duknuum and Diffuser/Mephor are used jointly for heat compression on the loong points. It has been practising in Traditional Tibetan Medicine for more than two thousand years back. 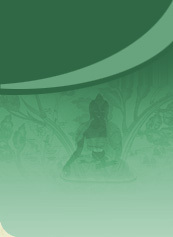 This practise reflects the rich experience of clinical efficacy and the authenticity of the Tibetan Medicine. The combined action of the medicinal substance enriched with oily and heavy qualities as caraway and nutmeg together with heated sesame oil is an effective mild therapeutic means to harmonize loong(stress)disorder featuring instant fainting, stiffness of the extremities, vertigo, hallucination, palpitation, insomnia, tinnitus etc. Endowed with immediate and long term medical benefits, this therapy is easy to use.